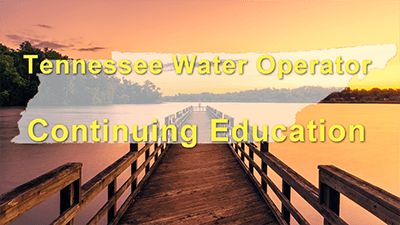 If you are a water operator in Tennessee, you need look no further to find the courses that will provide the continuing education hours for water treatment and distribution that you need to renew your license. Here you will find continuing education courses written by experts and designed to give you the practical and informative training you need. What are the continuing education requirements for Tennessee water operators? Our courses are approved by Tennessee's Department of Environment & Conservation and will meet your CE needs. In Tennessee licensees can not get credit for taking the same course two cycles in a row. Save on our 6 Hour CE Package. Includes: Sedimentation (3 Hours), Corrosion (3 Hours). The following is the status of your continuing education credit training activity request. (In the “Class Credit” column, WW = wastewater, WT = water treatment, DS = distribution systems, GS = collection systems and Any = all certificates). Any changes in the courses or the program activities from those specified in the initial application, written attachments or website description will void this approval. The Water and Wastewater Operator Certification Board may also void approval at its discretion. Only the classes listed below have been approved for credit. Credit for program attendance will be awarded on the first attendance only, unless the program has been substantially revised. Credit hours in activities that are generic (approved for any certificate) will be attributed only to one certificate. The Water and Wastewater Operator Certification Board must receive documentation of completion of a course in order for an operator to receive continuing education credit. If you, as the provider, choose to provide the Board with this documentation, the following is required to ensure timely and accurate data entry of credit: a certificate of completion, the student’s name and identification number and the certificate to which credit are to be applied toward. 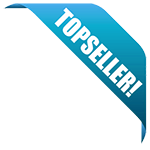 This documentation can be provided either by you as the class provider or by the individual seeking credit. If you choose not to notify the Board, please understand that the students completing this training will individually be responsible for obtaining credit for the training. Each student will need to submit to this office proof of attendance as well as designate the certificate to which the course should be applied. This should be stressed to all participants. Thank you for providing these continuing education activities. Call me at (615) 898-8090 if you have any questions or if I may be of further assistance.